Our refrigerator is full of vaccines, the horses are covered in mud-cicles, we are covered in horse hair, and the calendar page has turned to March - SPRING is almost here! 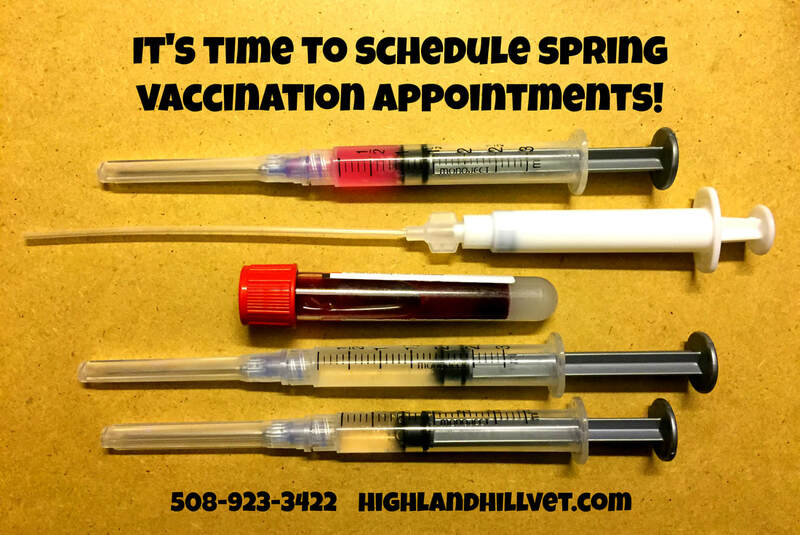 It’s time to schedule your spring vaccine appointments! If you have showing or traveling deadlines be sure to contact us ASAP so we don't run into any scheduling conflicts. If you have already set up your spring appointments - thank you! There should be at least 3 weeks in between appointments to reduce the risk of adverse reactions. 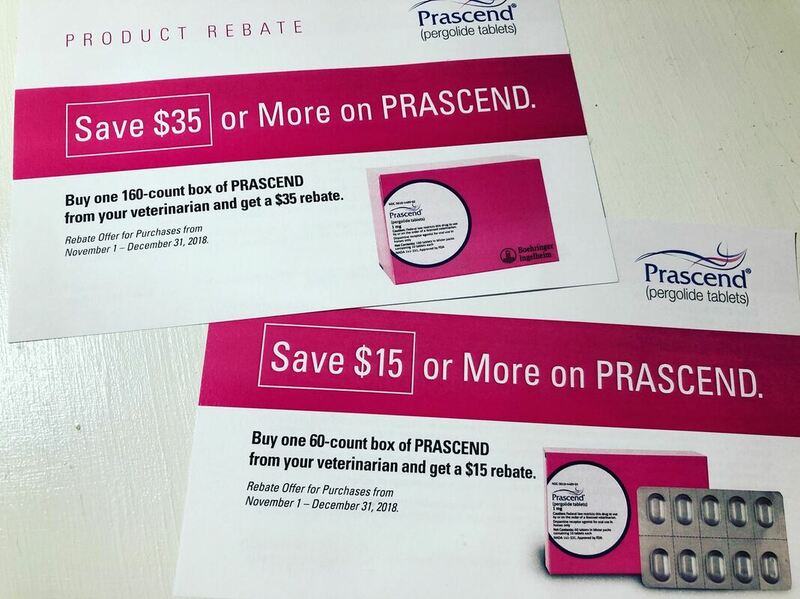 If 8 or more horses are vaccinated at the same farm and appointment, there is no farm call fee. If 1 to 7 horses are vaccinated at the same farm and appointment, the farm call will be divided by the number of horse owners. For backyard or no travel horses we recommend making your appointment for sometime after May 1st. Exceptions: If your horse has been vaccinated before May 1st in past years, or if you plan on doing fall EWT/WN booster vaccinations. If you need to get in touch with Kendyl over the holiday please dial 508-923-3422 and press 0 to leave an emergency/urgent message for Kendyl and she will call you right back! 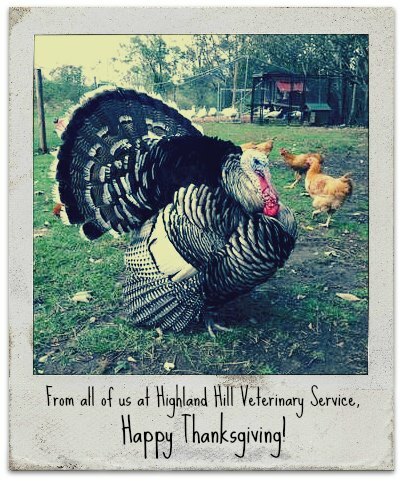 The office will be closed Thursday 11/22 and Friday 11/23, but Dr. Kendyl is available (as usual) for any emergencies or urgent situations that may pop up over the holiday or weekend. Shedding horses and mud-covered horses can only mean one thing - spring is almost here! It is time to set up your spring vaccination appointments! If you have showing or travel deadlines, we highly recommend getting on the schedule ASAP. What do we recommend? Below are general guidelines for the most common spring vaccination visits. Not sure what your horse needs? 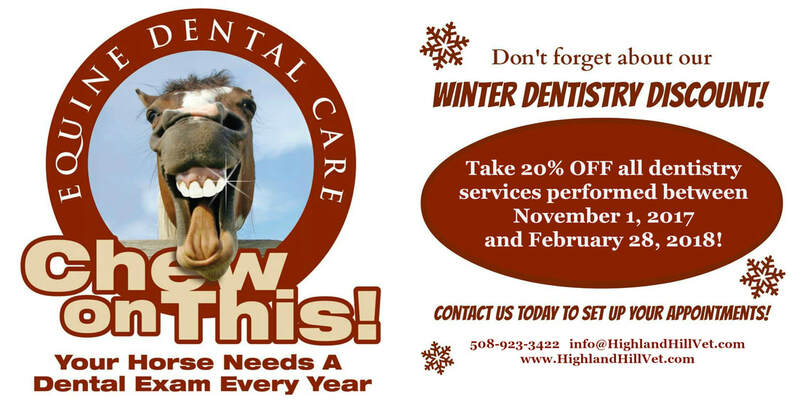 Contact us and we can help! Looking for our farm vaccination sign-up chart? Download the PDF file below. Meet the TWO newest additions to the Highland Hill office - Charlie and Jack! Beth, our office manager, had twin boys in May and is back from her maternity leave. Beth will be working from home until the office construction is complete but is available by phone, email, and text for all of your Highland Hill needs! If no one answers the phone at the office, press 1 and leave a message - Beth will get back to you within 24 hours. If you have an urgent matter or emergency, press 0 and leave an emergency message for Kendyl.